Last month I ran out of tea. Horrors! My Darjeeling, gone! In our household, I’m the only one who drinks tea in the morning. Don prefers coffee, and the girls will occasionally have a cup of hot chocolate (though they also drink tea), but I’m the biggest tea-drinker. Also, I generally get up hours before anyone else, and that’s my quiet time. My private time. My writing time. My tea time. Because we’ve had a couple of economic blows and have cut out all unnecessary expenses, I made do with the other tea we had in the house after I ran out of Darjeeling. I used up our spare supply of English Breakfast. I got through a random tin of something called River Shannon. But nothing beats a good hearty kick-in-the-pants mug of Darjeeling in the morning. So I finally broke down an ordered a kilo from Upton Tea. Yesterday the package came in. Oh, the bliss of having my Darjeeling this morning! LOL! We are going through the same thing. 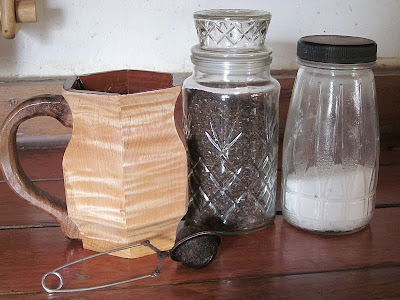 I like Harney teas, but buying the new home, and having the van die and replacing it, and other financial annoyances caused us to cut off the supply of tea. I drank all the other stuff we had, and was suffering withdrawal... it is definitely the little things, like tea in the morning before the kids are up, that make the whole day run smoother. I think the little things, like tea or coffee, make a world of difference in how I feel and start my day. Glad to see you placed your order for tea and received it. Enjoy! Glad you were able to treat yourself!! You work to hard not to have a little something special. I love my tea too, I have at least a years supply for two plus random other brands tucked away here and there that were on special. I imagine tea and coffee would also be a good trade item or a nice pick me up for anyone deprived of it for awhile. 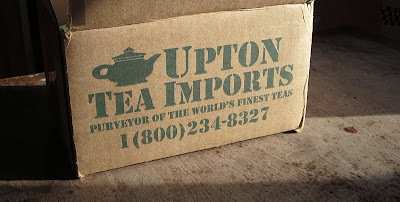 I drink cheap tea (lipton or whatever is at the grocry store) in low quantities so it is easy to keep it in the house. However we've all got something we spurge on (single malt scotch for me;) so I am certainly not judging. Glad you got some more of the stuff. 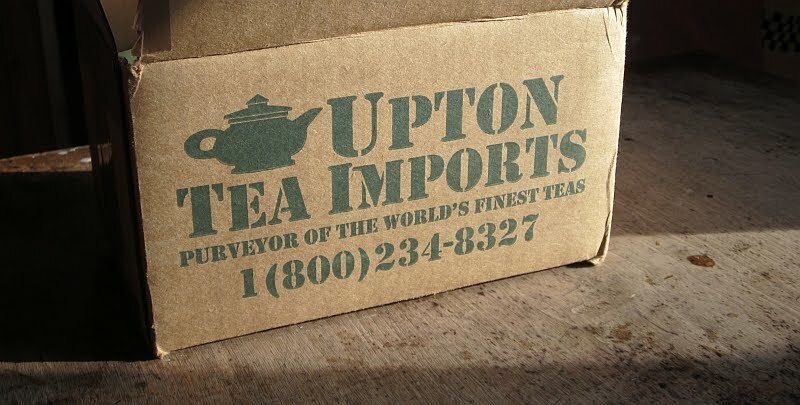 Thanks for the tea recommendation. I am an avid tea drinker. 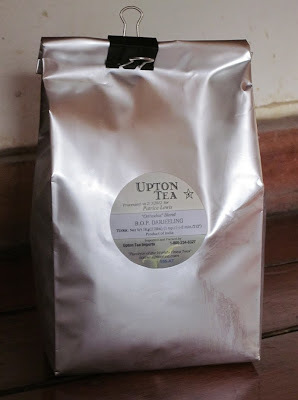 I like Earl Grey (normally Twinings)but will definitely try the Darjeeling from Utpons. Have a great day and keep warm! It's going to be 65 and sunny here in South TX which I am thankful for, it's been chilly and rainy here the past couple of weeks. and of course mint is an ever present stand-by. On the domestic side, I use a lot of orange zest and ginger, or cinnamon, and of course coconut. What??? Doesn't everybody drink coconut tea??? LOL! Yes, it does sound funny to some of us, but it's one of those instant addiction things. I buy powdered coconut and use it in a variety of things, but mostly for tea and hot cocoa. Mmmmmmmm. I like to use almond milk, but cow's milk will do fine, too. And when I want something more 'traditional' I go for the box of tea my father-in-law brought home from China. Whoa Lordy!! It's what we'd call white tea, which is the prized tips and shoots of the green tea bush. It's wonderful. And incredibly expensive!!! I was stunned to receive it, almost as surprised as he was that I knew its price range.! lol I'd just viewed a travel documentary featuring teas and tea ceremonies in the very same region of China the folks visited. This stuff is sooooo good. It's all pressed flat and makes a yummy little nibble in addition to world class drinkables. OK...that's it for now. Time for a refill! coffee givess me that "oomph" that i need, but a good hot brewed tea provides the "comfy, get rested and relaxed" feeling...i love all teas and all coffees and i can not imagine living without them. Is that cup wooden? It's beautiful. Thanks. It's what we do for a living -- make wooden cups.